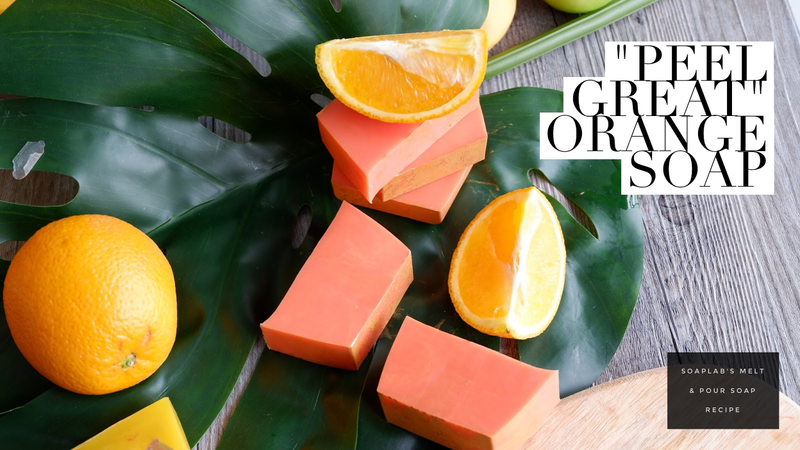 Today we will be making the “peel great” orange soap with a three butter soap base and fresh orange juice. With these fresh ingredients, your skin will be a healthier and more moisturised. The three butter soap base, is a great moisturises, helping your skin retain its natural oils, while leaving your skin supple and soft. Next, add the orange juice fragrance oil, giving the soap a nice natural citrusy smell. To complete the soap and give it the “Peel Fresh” look, add sparkle gold and saffron mica. Enjoy!